Perch can be built into a wide range of fixtures, from a single shelf display to an entire wall of products. Use our fabricator or yours. We make it easy either way. Perch Cloud is a platform engineered to make retail rollouts simple and manageable. Perch displays track every shopper interaction, including when they approach, which products they touch most, and pickup and how long they're are engaged. Perch tracks every interaction, from picking up products to tapping the screen, and gives you access to all this data in realtime. 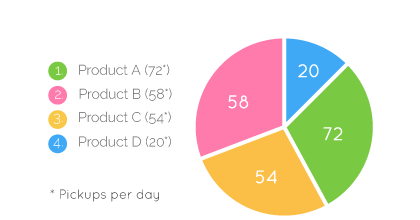 Perch reports the exact number of shoppers that interact with your products every single day. You can also see which products shoppers touch and pick up the most, and the relative count between them. 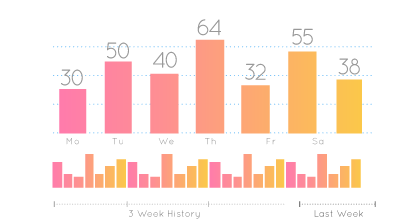 Perch measures how long customers are engaged with the display and reports an average measure per day. What are you waiting for? The future of retail is now. Partner with Perch and let's build the future together.